Out of 193 countries that are currently UN member states, we've invaded or fought conflicts in the territory of 171. That's not far off a massive, jaw-dropping 90 per cent. Not too many Britons know that we invaded Iran in the Second World War with the Soviets. You can be fairly sure a lot more Iranians do. Or what about the time we arrived with elephants to invade Ethiopia? Every summer, hordes of British tourists now occupy Corfu and the other Ionian islands. 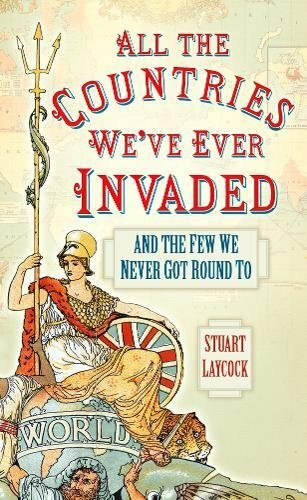 Find out how we first invaded them armed with cannon instead of camera and set up the United States of the Ionian Islands. Think the Philippines have always been outside our zone of influence? Think again. Read the surprising story of our eighteenth-century occupation of Manila and how we demanded a ransom of millions of dollars for the city. This book takes a look at some of the truly awe-inspiring ways our country has been a force, for good and for bad, right across the world. A lot of people are vaguely aware that a quarter of the globe was once pink, but that's not even half the story. We're a stroppy, dynamic, irrepressible nation and this is how we changed the world, often when it didn't ask to be changed! Stuart Laycock is an author and historian. He has written many successful history books including Britannia: The Failed State, Warlords: The Struggle for Power in Post-Roman Britain, and UnRoman Britain: Exposing the Myth of Britannia.